This article was adapted from Francesco A. Fiorentino and Thomas Lavizzari’s “Surfplay: il migliore è quello che si diverte di più”- Vololibero Editions. It was 1978, I was 14 and I was about to watch John Milius’ Big Wednesday for the first time. It made me want to surf and to own a Bear surfboard, or at least a t-shirt. It took me 10 years to start surfing: 10 years of me watching the video-tape hundreds of times in slow motion, particularly focusing on the opening scene where the take-off was almost didactic. 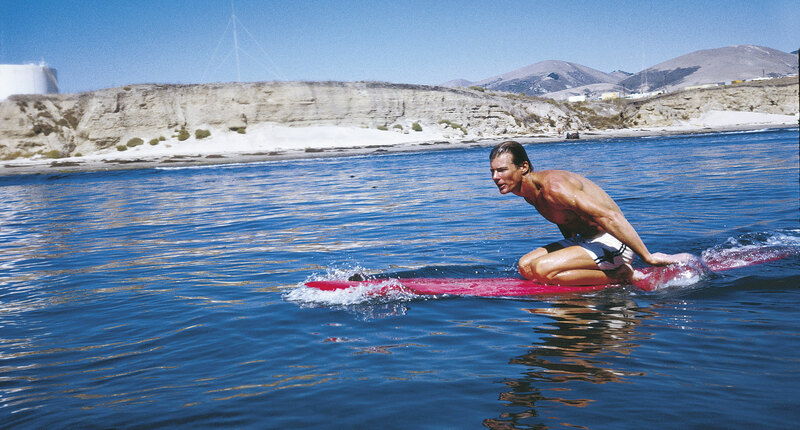 The more I learned about the wonderful world of surfing, the more I was able to understand the Grimorium that is actually John Milius’ masterpiece; and the more I understood about Big Wednesday, the more I learned about surfing. Here it goes, the good, old story of the dog chasing its tail. Big Wednesday is a movie that follows the Hollywood cinema canons, filmed by a well-known director who embodies the surfer’s spirit. Apparently, therefore, Big Wednesday is a 100% Hollywood movie. Apparently, yes. 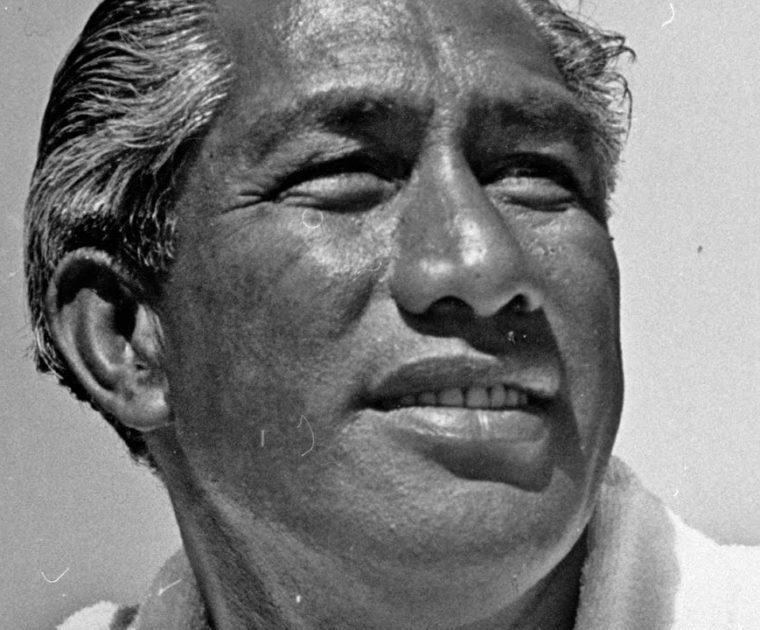 The cast is composed of legendary surfing directors and actors, like Bud Browne, Jackie Dunn, Ian Cairns, Johnny Fain, George Greenough, Bill Hamilton, Gerry Lopez, Dan Merke, Greg MacGillivray, Jonathan Paskowitz, Bruce Raymond, Jay Riddle, Peter Towned and Spyder Wills. The story is co-written with Danny Aaberg, Milius’ friend, and it is aimed at a surfer’s audience. Although superficially it may seem as something similar to a surfing American Graffiti, it is something more, something far more complex than its blockbuster cousin. It can be considered an esoteric movie to the non-surfers because it looks only like a good movie that makes you fall in love with the surf world. It may seem a little slow, but it’s fast paced for those willing to find a meaning. Moreover, being surfing-related, it may seem accessible to surfers only. As a matter of fact, performers and actors are all linked to the surf world. 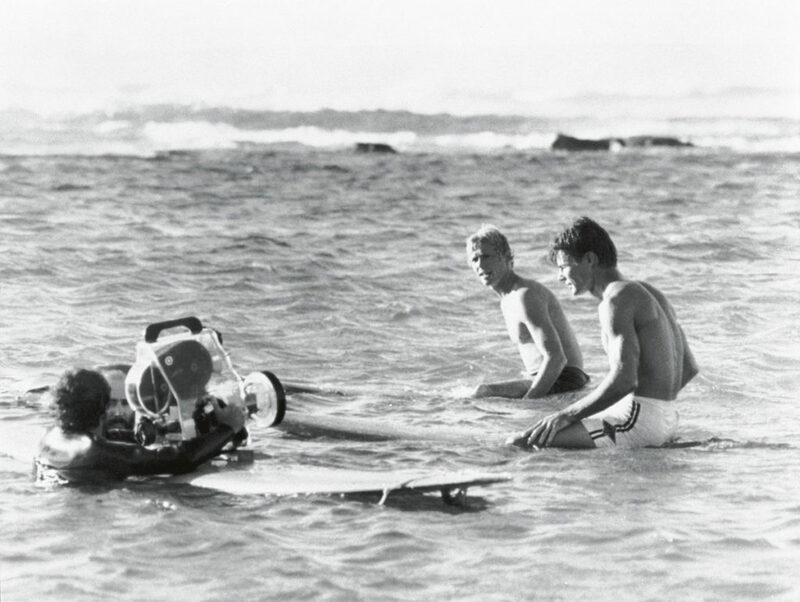 Apart from the ones abovementioned, the crew also includes Jean Michael Vincent, William Katt and Gary Busey, who was forced to learn to surf before the start of the filming. Besides, literally all the people taking part in the movie had a real bond with at least one of the crew components: for instance, the lady who played Jack Barlow’s mum is, actually, his mother. The self-destructing character played by Jean Michael Vincent, Matt Johnson, is Lance Carson’s transfiguration, although the writing LONG LIVE MATT on the Dark Point wall, is actually referring to Miki Dora. It was Milius himself who made the Johnson – Carson correlation clear in Apocalypse now: he was the movie writer together with Coppola, and he made Lance Johnson appear side by side to colonel Kilgore and to a Rennie Yater surfboard. In this case, he is probably also quoting Jock Sutherland, Pat Farley and Brant Page. Will Katt plays the role of mindful Jack Barlow and he is easily reliable to Kemp Aaberg and Gary Busey, who in the movie it the weird Leroy Smith. Bear himself cryptically quotes at least three legendary shapers: Hap Jacob, Dale Velzy and The Greek (Bob Bola). In this movie, a full era is captured, but it’s only suggested and never explicated. You can feel it in the details, more than in the dialogs: people wear Pendleton chess shirts or Hang tees, and drink Schlitz beer. Two things remain unclear: who is the narrative voice and the role of the marginal surfer, Robert Englund (yes, Freddie Kruger is indeed a surfer!). As far as the voice is concerned, John Milius stated that he was inspired by writers Herman Melville and John Steinbeck: their voices, as well as Milius’, is external but it still takes part in the developing of the drama. And, talking about the marginal surfer, you’ll need to watch the movie a couple of times to understand that the person who takes Matt’s surfboard is the same that gave it to him when he was younger, at the beginning of the movie. The only thing 100% not told is that Gerry Lopez is in fact Gerry Lopez and he’s surfing on a Lightning bolt… but probably it’s a concession made to deviate from the rest, somethin occulted waiting to be revealed. What in the movie seems developing as a banal generational passage is actually the representation of the cultural revolution that happened in the world through surfing with all its fundamental contradictions and that caused a definition lack: everything is whispered, and not even once told. What is told in a more explicit way is instead the cultural revolution happening through the short board advent.